Contact Larson Home Services for your free quote. We will perform a thorough inspection of your crawl space and seal all air leaks. We install high-performance crawl space insulation to help improve your home comfort and energy efficiency year round. We are the trusted experts for winterizing crawl spaces in Sun Prairie, Middleton, Janesville and surrounding areas. If you want to improve your crawl space insulation, the local experts at Larson Home Services can help. Call us at 1-844-651-0955 or contact us online to schedule an inspection and get a no-cost quote for crawl space winterization. 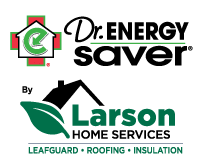 We provide a wide range of insulation solutions to homeowners in Janesville, Sun Prairie, Middleton, Waunakee, Stoughton, Verona, Mc Farland, DeForest, Mount Horeb and nearby.